Fewer curry chefs are spoiling the broth. The £3.6bn curry industry in the UK is facing an acute shortage of South Asian chefs due to strict immigration rules for non-EU nationals. The Home Office has set a minimum requirement of that all Indian immigrants must be able to speak English, be educated at NVQ level four with five years work experience at a post graduate level and be paid a minimum salary of £28,260 which most curry houses cannot afford to pay. According to the immigration policy, locals are being trained to work in curry houses but it is not easy for those donning the apron. Most EU workers are reluctant to work in Indian restaurants, as they are unable to understand the basics of Indian cuisine and spices. The government has been floating the idea of starting curry colleges to train local workers to work in the curry industry in a move to fix the shortage. According to Spice Business, there are 10,000 curry restaurants in the UK that employ about 80,000 people. This has led to a large gap in the kitchen where the demand for skilled curry chefs has increased but the supply is dwindling. 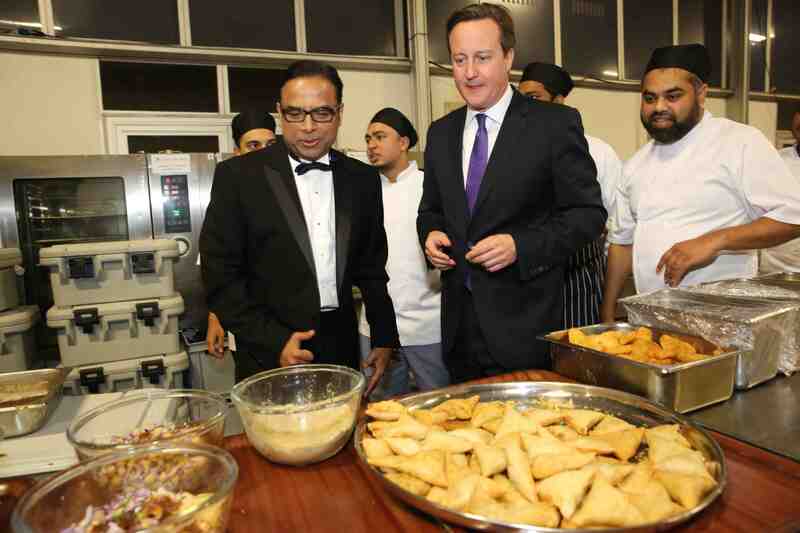 British Prime Minister David Cameron promised to back the curry industry at the British Curry Awards ceremony in London. “Let me promise you this. We will work through this together. We will continue to help you get the skilled Asian chefs that you need. And we will also work with you to train up the next generation of home grown chefs,” said Cameron. The British Curry Awards also known as the Curry Oscars was started in 2005 by British entrepreneur and restauranter Eman Ali. He has been promoting the British curry industry globally for the last 30 years. “The British Curry has established itself as an international cuisine in its own right and a standalone culinary genre which has produced dishes such as the onion bhaji, the dhansak, the chicken tikka masala, the rogan josh, the chicken phall and the balti,” said Ali.